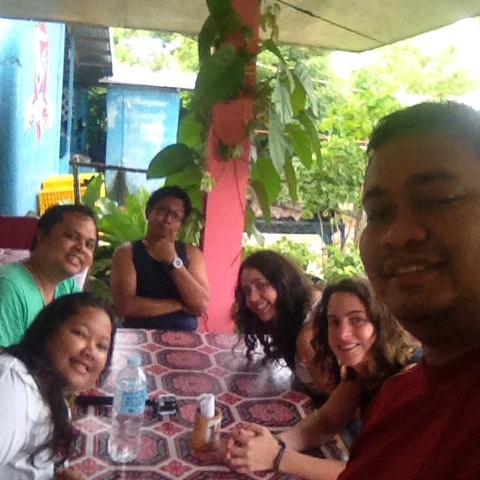 There is good food around Malapascua Island. While there are quite a number of three star restaurants, there are many options for the budget-conscious as well. One of these restaurants with affordable prices in Malapascua is Ging-ging's Restaurant. It is actually popular among tourists visiting the island. You will get to it just by asking around where it is located. Ging-ging's Restaurant is open from 7:30 a.m. to 10:00 p.m. daily. During a recent trip to the island this past weekend, we had breakfast at this very humble restaurant. We were staying not far from it at the Thresher Shack on the Divelink Cebu property by Logon Beach. Prior to ordering our meals, our host conditioned our minds that the orders may take quite some time to get served. in reality, it didn't really take that long to get the food on our table. Our French friends ordered pancakes in different flavors. The pancake flavors available at Ging-ging's include banana pancake, chocolate pancake, pineapple pancake, and mango pancake. Pancake servings here are huge and I'd say a really good value for your money. I ordered the Filipino breakfast with pork tocino, scrambled egg, and rice. My fellow blogger Gay of Exotic Philippines ordered the same except that she had sunny side up egg. Other choices for Filipino breakfast are pork chop and daing na bangus. 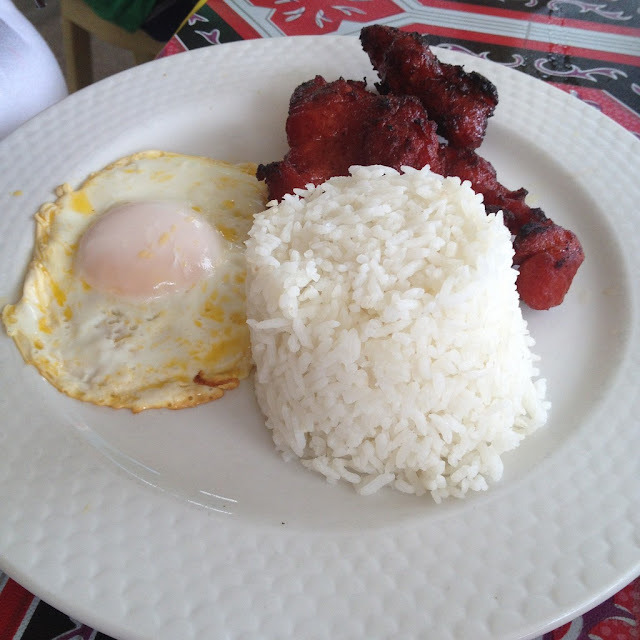 Pork tocino is one of my favorite breakfast meals but I wished the pork tocino they served us was more tender. I also had bacon, tomato, and onion omelet. 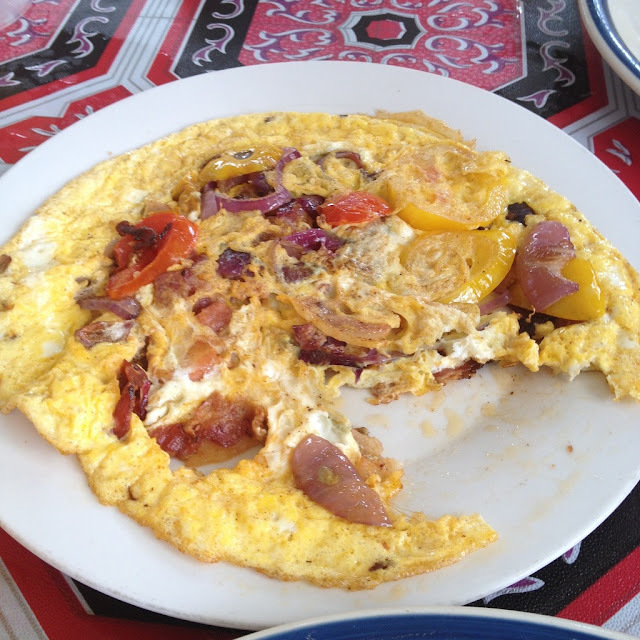 The bacon, tomato, and onion omelet was nothing special but it wasn't bad as well. Our host Radj ordered some calamari on top of banana chocolate pancakes. Would you believe each of these orders cost less than PhP 100. There were six of us and our total bill only came out at PhP 1,000 and that already included our drinks. Half of us ordered the mango shake and the other half ordered orange juice. 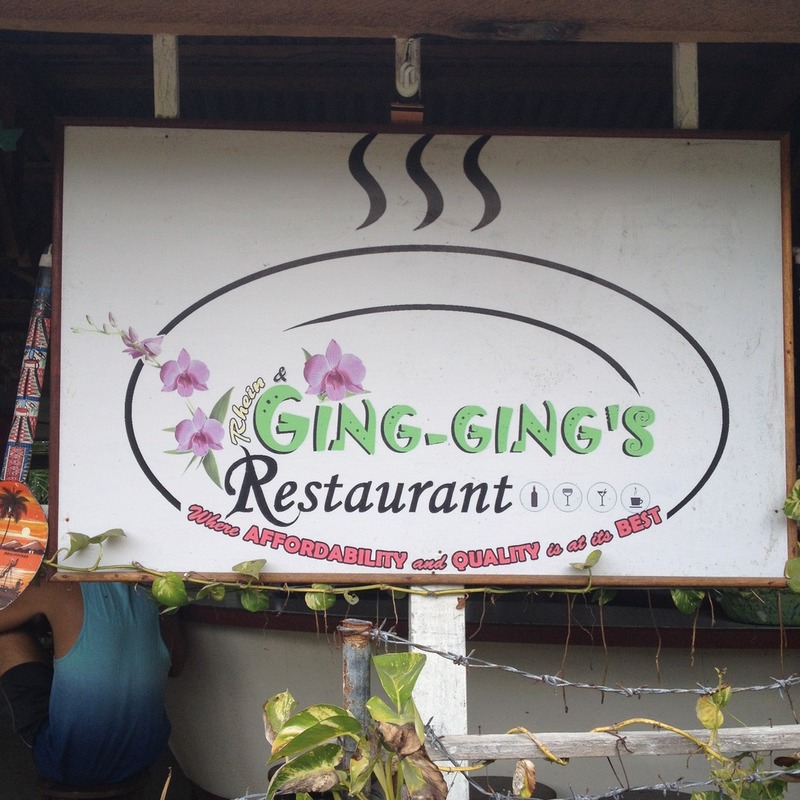 When you visit Malapascua Island, dine at Ging-ging's Restaurant. Then tell us about your experience in the comments section below.